Ten-year-old Kyle is the kind of kid who makes friends with everyone. 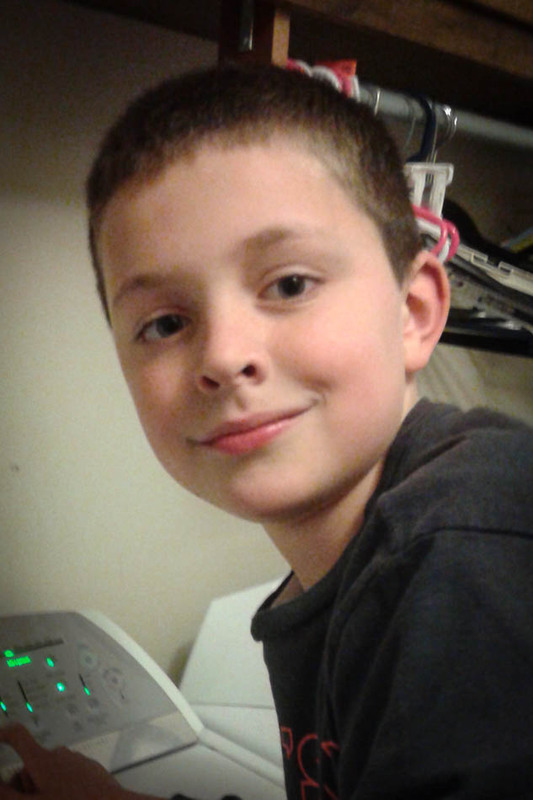 His mom says teachers and counsellors often pair him with kids being picked on or kids with disabilities because he is always kind and has a way of drawing them into a group. So it was out of character last June when Kyle started complaining about his arm hurting. Still, his mom thought it was normal aches and strains. Kyle was a big swimmer after all. But then one day a soccer ball hit him on that arm and Kyle screamed and collapsed onto the ground. And his mom knew that wasn’t normal. 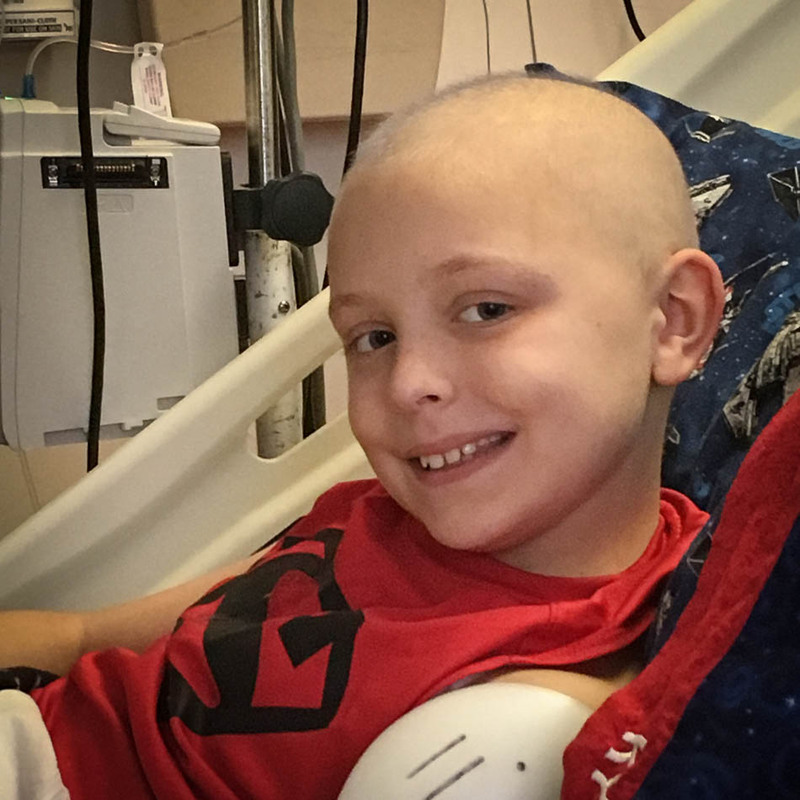 A few doctor visits later and they knew the cause – osteosarcoma. Bone cancer. 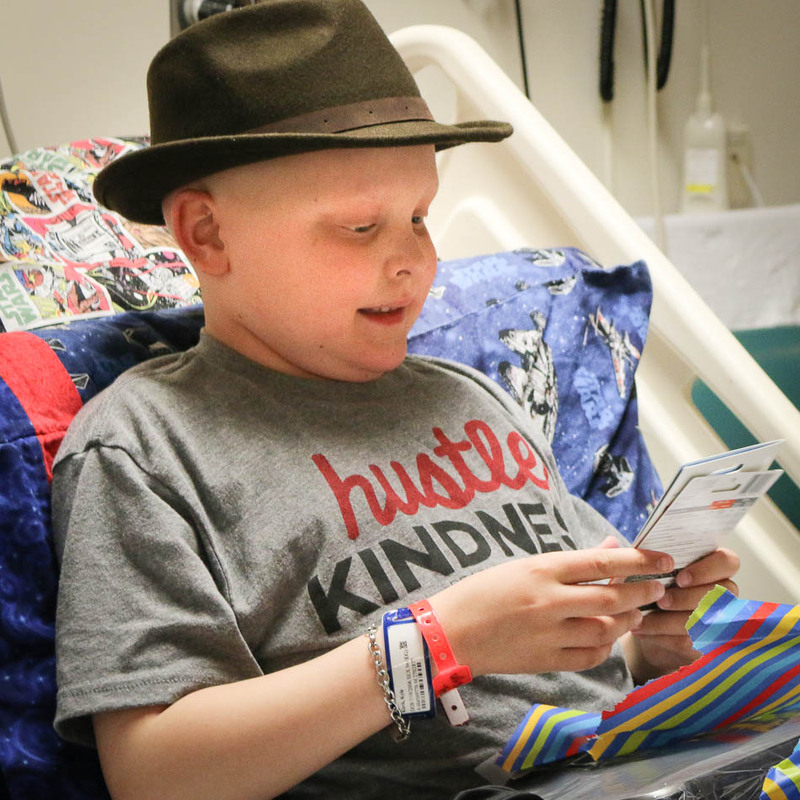 Kyle’s nickname at the hospital was The Pleasant Puker because even when the chemo made him throw up, he did not get upset – he just went right back to what he was doing. 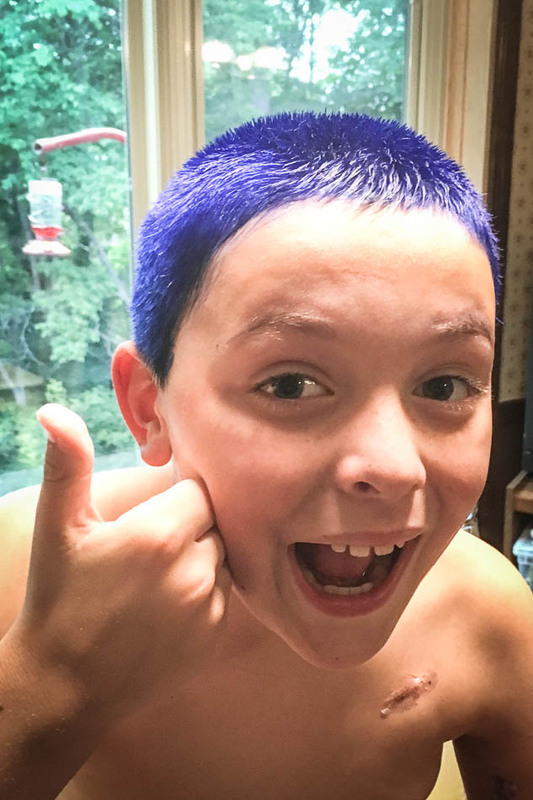 He didn’t even seem to mind losing his hair, but he did have fun dying it blue first. 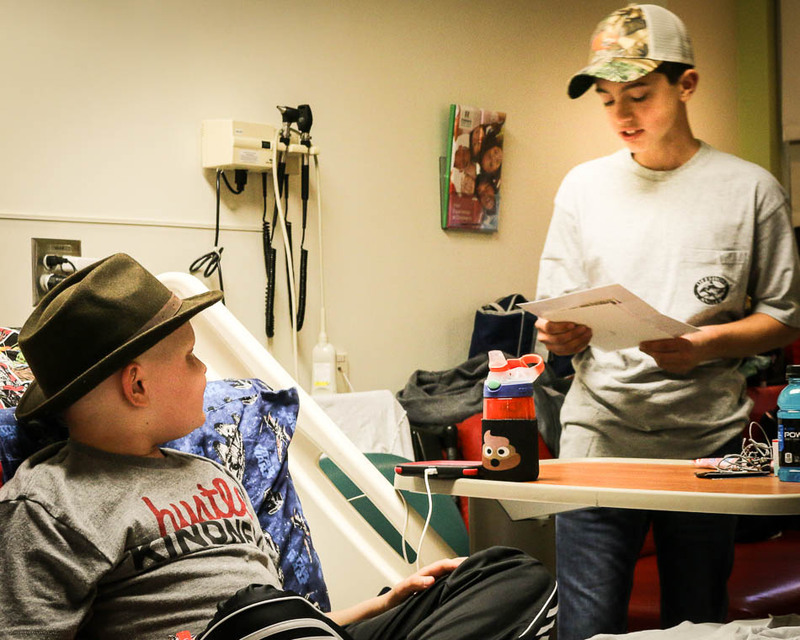 Kyle tried to start 5th grade in the fall, but he picked up illnesses from his classmates too easily, and with all the time he had to spend in the hospital, his only option became homebound schooling. And that’s tough for a social guy like Kyle. 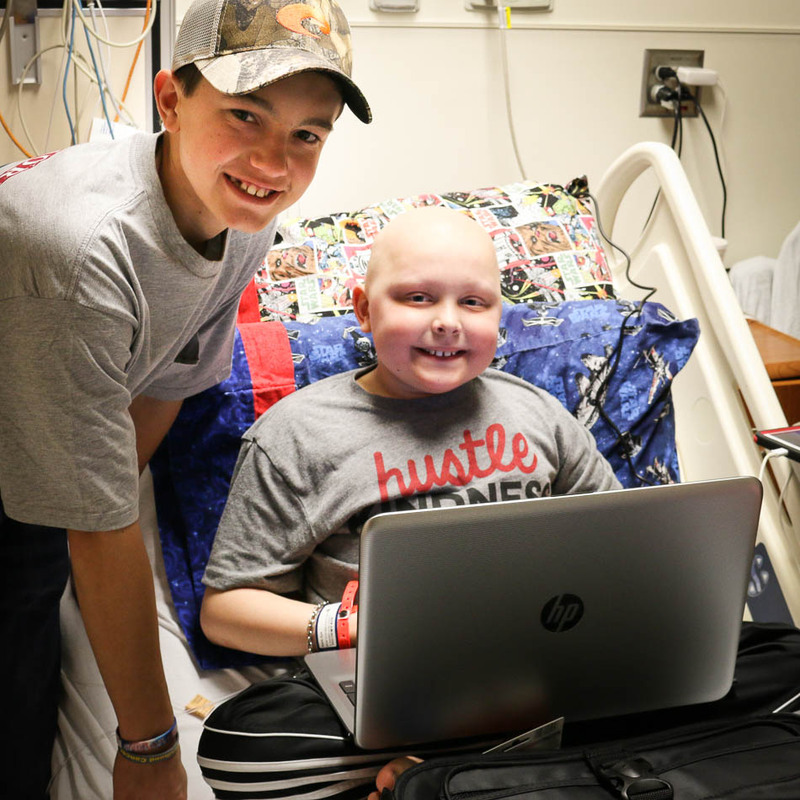 So Team Summer kid Eli helped us come up with a plan to keep Kyle connected…and entertained! 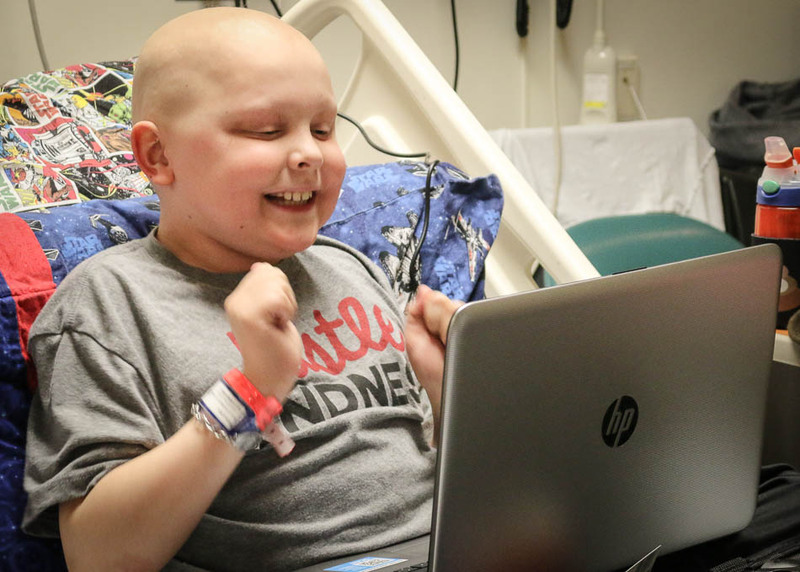 Kyle got his very own laptop! His mom says he loves it so much, it’s hard to pry him off it. Right after he got the laptop, she says he was on it for 24 hours straight! Okay, he took a little time off to sleep, but not much! 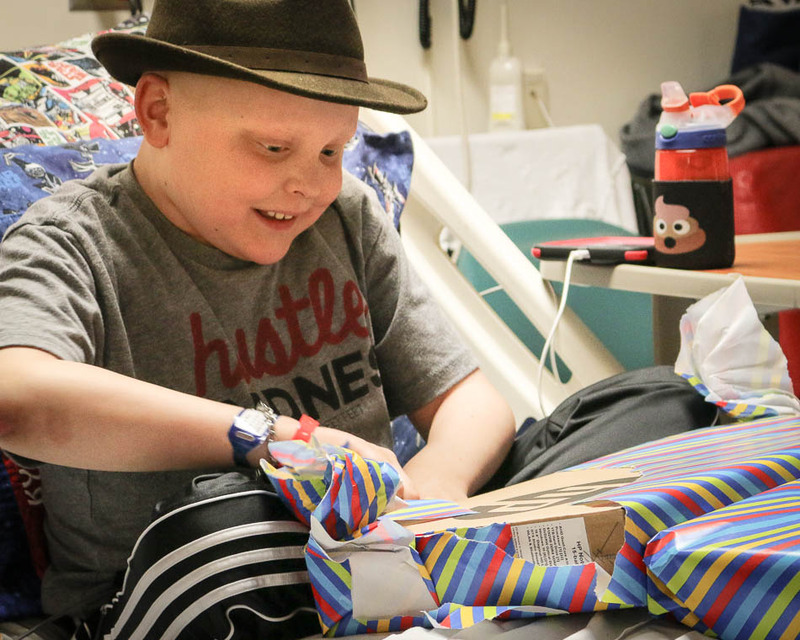 For a kid who is always doing the giving, it was fun to see Kyle get for once! Nice job, Eli! And you should know that Kyle is back to giving! 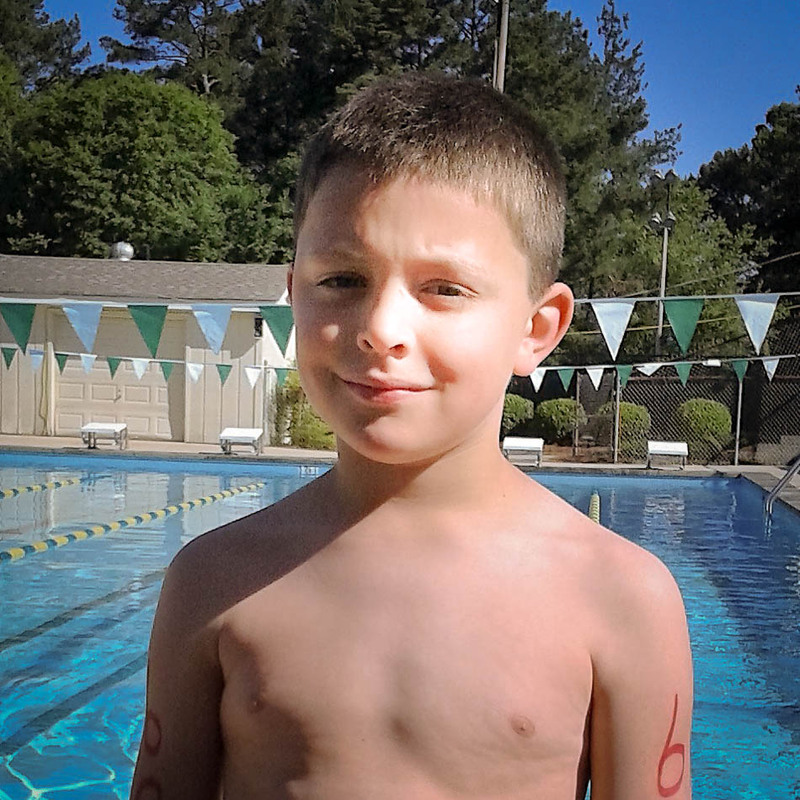 He has already nominated two kids with cancer to become Team Summer kids! We’ll keep you posted! 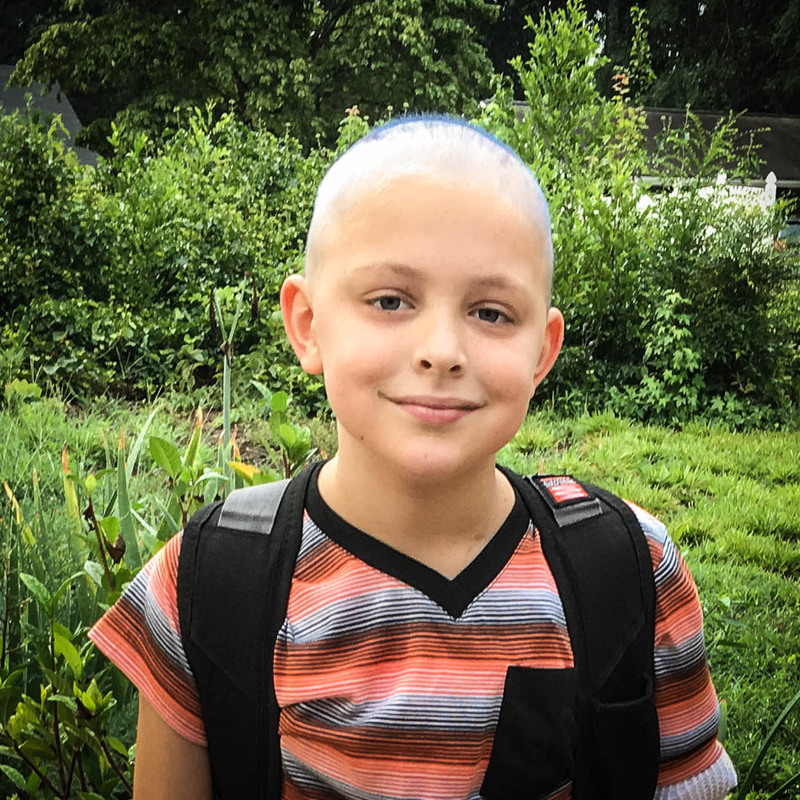 Please help us help kids with cancer by donating to Team Summer! And a big thank you to JP Menegolo for taking these wonderful pictures!